…. I started this blog!! Yep, today is my 2 year blogiversary!!! It is crazy for me to think that 2 years have already passed. It feels like I just started my blog and I got my first few comments and posted the video on how to curl Saige’s hair. Time certainly flies! So many new blogs have started since I entered the blogging world, and yet so many have left. Whenever I see a blog leave, it just makes me want to cry. I know I am not the best at posting regularly and I know that TUT pretty much failed because I was so forgetful about it, but I really want you all to know, that I am trying very hard to be more responsible and organized with my blog and I really hope that by the end of the year, I along with all of you, will see a change in that area. Now for a couple little announcements! 1. I am starting something called “A Few of My Favorite Reads”. So at the end of each week, I will share some of my favorite posts that I read during the week on other girl’s blogs. 2. I’m starting another thing called “PIC of The Month”- PIC stands for- Play, Imagine, Create. This will be posted monthly and it will be a super random story with my dolls where a few things won’t make sense. It’ll be really fun! 35 Responses to 2 Years Ago Today….. Happy aniversery ! I want to meet you in person! One of things I want to do is meet the people from my fave blogs! That and meet the duggers! I would go crazy if I meet them! That is so awesome! I’m so happy for you! Your posts are so cute and creative and I love how even though your blog is so popular you still interact with readers. 🙂 Congrats on two years!! CONGRATULATIONS! Two years of wonderful blogging! Keep up the good work. Congratulations on your Blogiversary! You are one of the bloggers that I look up to, and you have inspired me more than you will ever know. 🙂 I check your blog every day (sometimes, like, four or five times a day) and I’m glad that you’ll never grow out of dolls… neither will I! (They’re too expensive to grow out of, anyway.) 😉 Can’t wait to see the giveaway! Wow, happy 2 year blogiversary! I can’t wait for the giveaway and the new updates! Your welcome! I love your blog! Happy anniversary, Jacclyn! I’m so glad I found your blog, and I love reading your posts! 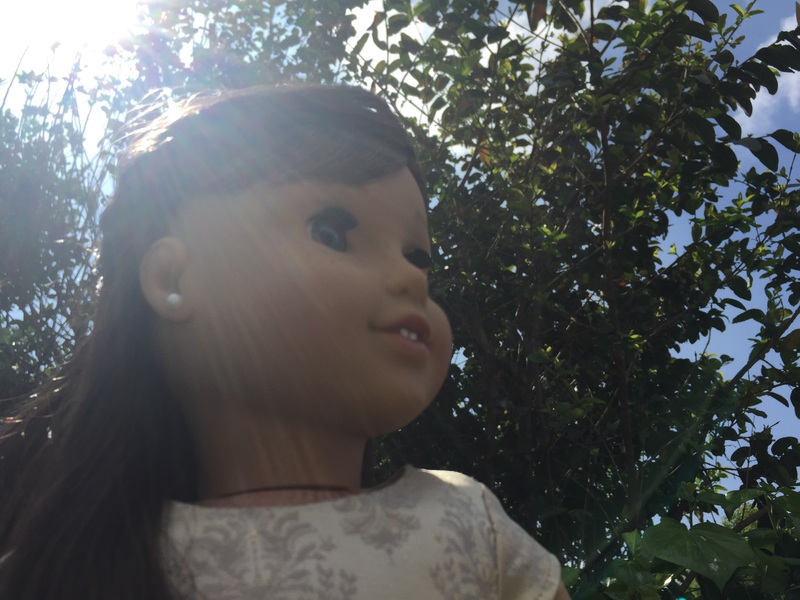 I’m really happy I discovered bloggers like you and Liz from American Girl Fan so I can remember that I’m not the only teenager that loves dolls! Dolls are the best! Have an awesome day! Wow, it truly seems like you were just saying this. But it was a whole year. Ha! I think you post very regularly, at least a lot more often then some. 2 YEARS! It feels like you just started! I would love to meet u! Maybe we could do a meetup sometime? HAPPY BLOGIVERSARY!!!! HAPPY BLOGIVERSARY JACLYNN!!!! You’re blog is one of my favorites. It’s so cool that you’ve been blogging for TWO WHOLE YEARS! It makes me so sad when bloggers leave; hopefully you’ll be around for a very long time! Congrats on two years! I can not wait for the new features. I’m a little late, but HAPPY BLOGIVERSARY!!! 🙂 I’m on your blog so much, I feel like I know you. 😉 I’m looking forward to another year full of great posts!